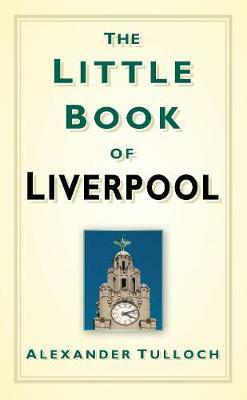 The Little Book of Liverpool is a funny, fast-paced, fact-packed compendium of the sort of frivolous, fantastic or simply strange information which no-one will want to be without. Here we find out about the most unusual crimes and punishments, eccentric inhabitants, famous sons and daughters and literally hundreds of wacky facts. Alex Tulloch's new book gathers together a myriad of data on this historic city. There are lots of factual chapters but also plenty of frivolous details which will amuse and surprise. A reference book and a quirky guide, this can be dipped in to time and time again to reveal something you never knew. For instance, did you know that the clock on the Liver Buildings was started at the precise moment that King George V was crowned on 22 June 1911? Thought not. A remarkably engaging little book, this is essential reading for visitors and locals alike.